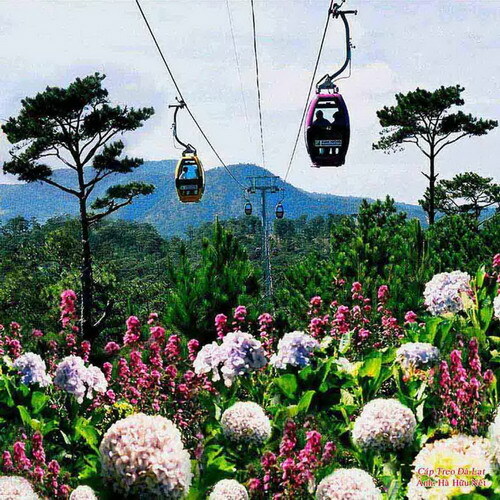 If visitors would like to try this once, they can book a day Dalat tour with only VND 170 000/each at Dalat Flower Company. 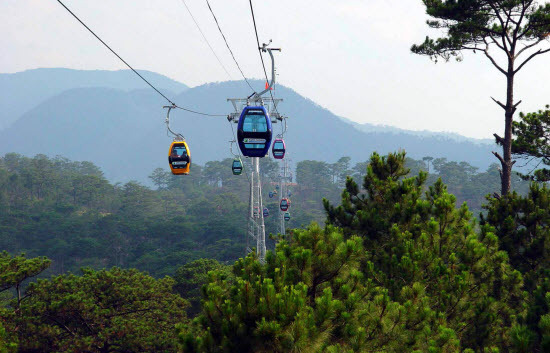 Dalat cable cars - watching the city from the sky Located on the Robin Hill at an elevation of 1.517 m above sea level, Dalat cable cars is a 2.267-meter construction “in the air” in the south west crossing mountainous area of extent endlessly pine-tree forests to Truc Lam Zen Monastery built in Phoenix mountain at an altitude of 1.490 meters. 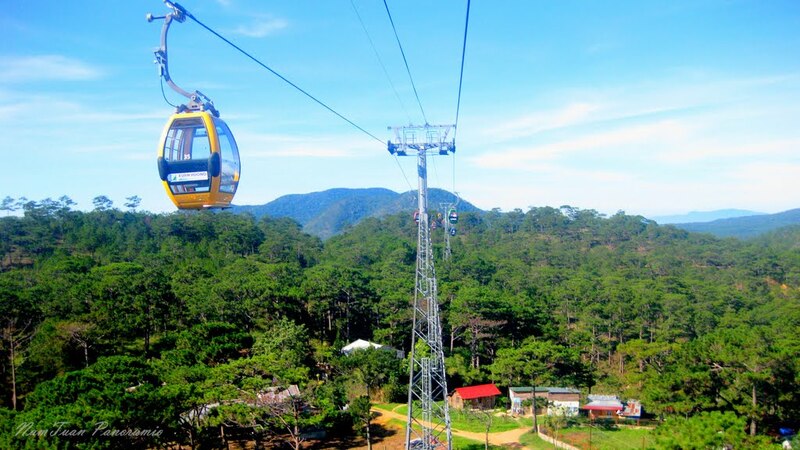 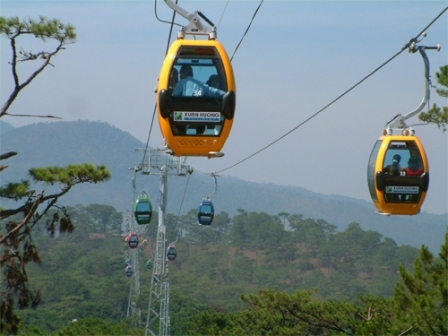 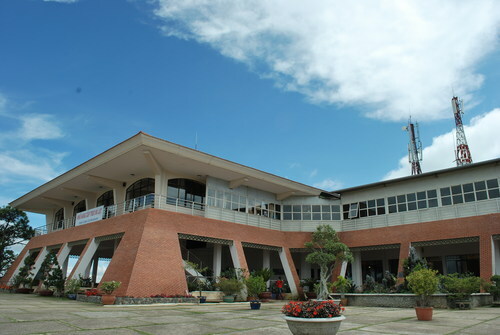 Besides, tourists might try tasting Dalat food at the cable car station and have vegetarian meals at Truc Lam Zen Monastry - Tuyen Lam Lake; especially at night, Dalat cable car serves visitors with a program “Café in Cable cars” Dalat cable cars have contributed to Dalat charming beauty, known as “a city of flowers and leaves”. 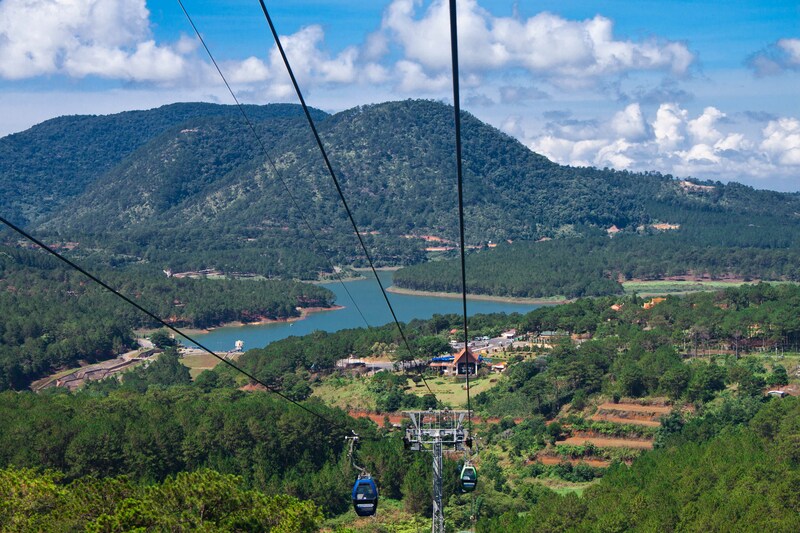 This is also one of the most popular Dalat tourist spots attracting a huge number of visitors from different corners of the country and tourists worldwide.